Yes, Passover is over. And yes, we are all tired of hearing about it, even though this Passover we all learned a valuable lesson in appreciating matzoh, both in its caramel and chocolate covered form and in its fried with egg form. But, I have two more dishes I just must write about, and who knows, maybe they’ll be helpful, if only for your leftovers. 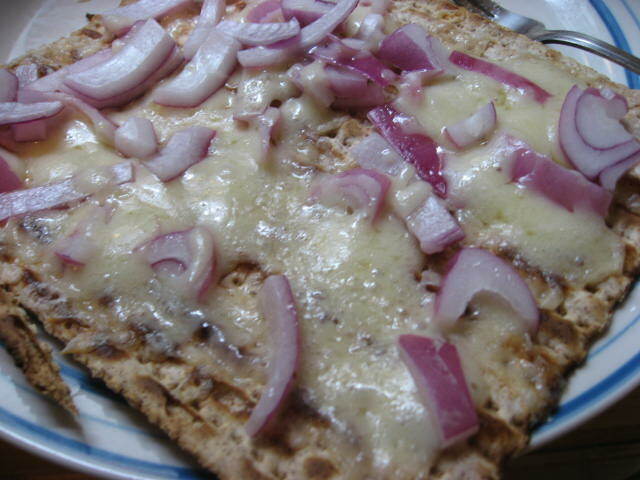 One is the very delicious and very obvious/easy matzoh pizza. One is the less delicious, completely unobvious, and definitely avoidable matzoh meal pasta that I made Saturday night when I was feeling both sorry for myself and in need of carbohydrate. Happy Passover, everybody! So, we once again celebrate the Jews’ continued survival with a week of not eating leavened products. For the way most people — and food magazines and newspaper columns — go on, you’d think this was a greater hardship than the Jews’ slavery in Egypt and subsequent 40 years of wandering through the desert. It’s only eight days long, guys. It’s like the Atkins diet, for a week. Plus, you get matzoh! Glorious, glorious matzoh. I have to say, I really like the stuff, however you choose to spell it. I really only eat it during Passover, though I suppose it could very well be eaten year round. 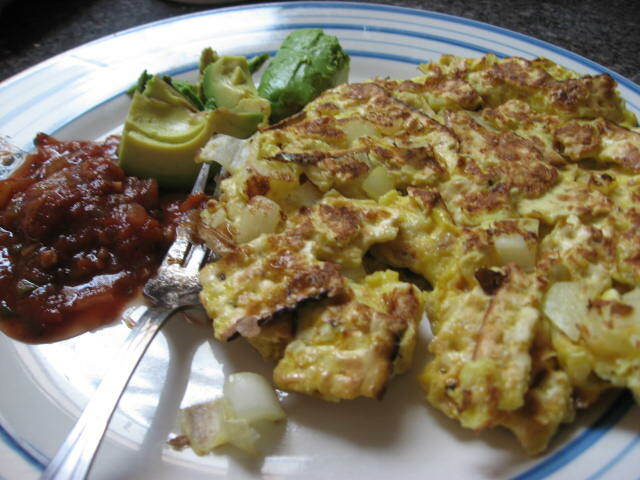 And since I started making this recipe last year, matzoh has only gotten more appealing to me. 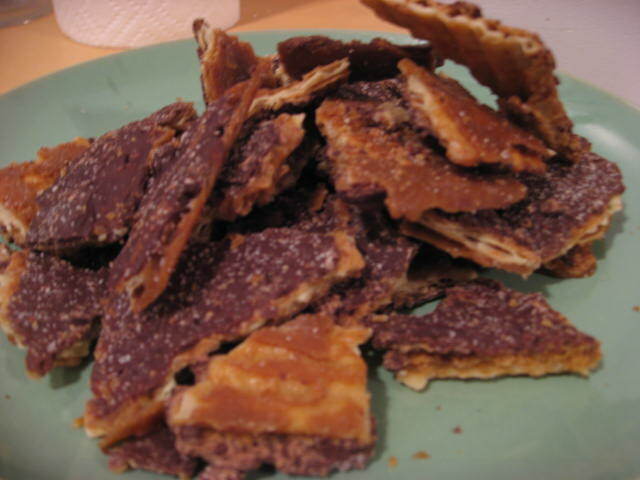 Nothing else would work as well in this recipe; the matzoh’s crisp texture and general lack of flavor make the perfect base for the toffee and chocolate topping. Last year, I used this recipe, from Marcy Goldman in A Treasury of Jewish Holiday Baking, called “My Trademark, Most Requested, Absolutely Magnificent Caramel Matzoh Crunch.” And, surprisingly, it actually lived up to that title!